LASIK, otherwise known as Laser Assisted In Situ Keratomileusis, is a type of laser eye surgery that is used to treat myopia (nearsightedness), hyperopia (farsightedness), and astigmatism. LASIK eye surgery is one of the most popular elective surgery procedures in the country. It is an extremely safe, FDA-approved procedure that was first introduced to the US market in the late 1980s/early 1990s. Since then, its popularity has grown exponentially thanks to its proven results. San Diego ophthalmologist Michael Tracy, MD is an expert when it comes to performing LASIK procedures. He’s successfully treated thousands of patients, with either LASIK or PRK surgeries. During laser eye surgery, a laser is used to reshape the cornea, which is the transparent layer on the front of the eye that covers the iris and pupil. The shape of the cornea determines whether you are nearsighted (myopic), are farsighted (hyperopic), or have astigmatism. During LASIK eye surgery, San Diego ophthalmologist Dr. Tracy uses a laser to reshape the cornea and improve the way the eye focuses light rays onto the retina in the back of the eye. LASIK is a surgery that works by using a two-step process. The first step involves creating a thin round corneal flap. This can be done either with a laser (Intralase femtosecond laser) or with a blade (microkeratome). The laser or blade creates a flap on the cornea, which is lifted to reveal the corneal tissue underneath. 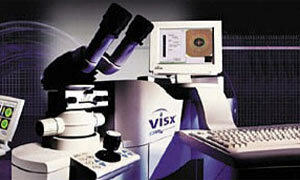 The second step involves using another laser (Excimer laser) to reshape the cornea. Using the microkeratome for the first step is referred to as “conventional” or traditional LASIK, because initially this was the only option to access the deeper layers of the cornea. However, today most surgeons use the Intralase laser to create the corneal flap. When both steps are performed by lasers, this is often called “blade-free” or Intra-LASIK. Since everyone’s eyes are different and unique, San Diego ophthalmologist Dr. Tracy will map your eyes carefully during your consultation. If appropriate for your treatment, a Wavescan machine will also map your cornea before the procedure, to determine your custom treatment. During the actual LASIK surgery, San Diego ophthalmologist Dr. Tracy creates a thin circular flap in the cornea using the Intralase laser. He then lifts the flap and uses the VISX Excimer laser to reshape the exposed corneal tissue based on your prescription. Dr. Tracy then replaces the flap on the cornea. The flap and the epithelium are allowed to heal naturally, which can take 1-3 days. Over subsequent weeks, the vision stabilizes as the cornea heals. This can take a few weeks to a few months, depending on how large your treatment was and your individual healing rate, among other factors. Dr. Tracy uses only the blade-free, all-laser procedure. Dr. Tracy has performed thousands of procedures and can help you decide on the best choice for your needs and lifestyle. When performing laser eye surgery, expert ophthalmologist Dr. Tracy uses the most advanced and state of the art technology available. At Carlsbad Eye Care, Dr. Tracy performs bladeless LASIK, and utilizes technology that is self-stabilizing with iris registry so that even if your eye moves during surgery, the laser tracks and follows the eye. The end result is a procedure that is effective, quick, and extremely safe. Before undergoing any type of surgery, it’s important to know what to expect before, during, and after the procedure, and LASIK is no different. As with any surgery, there are precautions and measures that patients need to take before and after LASIK surgery. You are required to stop wearing contact lenses prior to the surgery, for a minimum of two to six weeks, as instructed by the doctor. You need to arrange for a driver to accompany you to your procedure, as you won’t be able to drive yourself afterward, because you will be given a medication to calm you during the procedure and you will wear eye shields over your eyes. Wear loose, comfortable clothing, and refrain from wearing any perfume or makeup. A responsible adult must accompany you on the day of surgery. You will not be allowed to drive on the day of your surgery, so you must arrange for someone to drive you home after the procedure. During the first few days after having the procedure performed, you may feel some eye irritation and tearing (where your eyes produce excess tears). The white part of your eye may be red for a few days. Your eyes may also be sensitive to light. You will need to wear a shield over your eyes for the first few nights or when sleeping, and you must avoid rubbing your eyes for several months. You must use prescription eye drops to prevent infection, and keep your scheduled follow-up appointments to ensure that your eyes are healing properly. Patients can expect to experience a temporary dry eye sensation after surgery. In the weeks following surgery, patients should refrain from performing any physically demanding activities, as certain sports and activities may dislodge the corneal flap created during the procedure. For a few months, patients may experience vision fluctuations that resolve over time. After a few follow-up appointments with Dr. Tracy, patients have an excellent chance of achieving 20/20 vision for their LASIK results. Although laser eye surgery is a common procedure in the United States, many patients have questions about the surgery and their eligibility. At Carlsbad Eye Care, we want to ensure that no patient feels lost or confused, which is why we have compiled this FAQ with some of the most commonly asked questions about the procedure. If you have a question that isn’t listed below, please feel free to contact our office today by calling (760) 603-9910. A: The laser permanently changes the shape of your cornea. However, your eyes may undergo natural changes in shape as you grow older, or your vision may regress. Although for most people, the procedure results in long-lasting vision correction, some may experience slight changes in vision and may wish to undergo an “enhancement” procedure to correct these changes. Fewer than 10% of patients need enhancements after having undergone LASIK eye surgery. Q: How long will it take for my eyes to heal from the surgery? A: Most people will experience significant visual improvement in 2-4 days. A complete LASIK recovery may take six months. During this period, you should avoid high-impact activities so that your eyes can heal. Contact sports run the risk of dislodging the flap created during LASIK, should you get hit in the eye. Q: Will I still need reading glasses after having laser eye surgery? A: Everyone needs reading glasses at some point, as the ability of the eyes to focus on objects up close decreases as we age (a condition called presbyopia, which usually occurs after age 40). 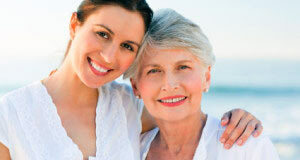 Depending on your age, you may need to wear reading glasses after having laser eye surgery. An alternative for people with presbyopia is to have monovision LASIK, which may lessen or eliminate the need for reading glasses. Monovision is where one eye is corrected for distance and the other eye is corrected for reading. Your brain may be able to adjust and focus on the eye needed depending on your activity. Typically, you will try this method first with contact lenses to see if you would be comfortable with it. Most patients either love it or hate it, so it is imperative to try it out before undergoing monovision LASIK surgery. 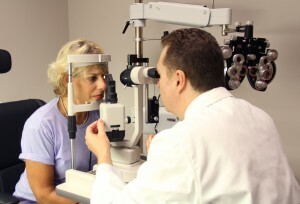 A: The entire procedure takes about 20 minutes, approximately 10 minutes per eye. However, expect to be at the surgery facility for 1-2 hours for pre-op testing, surgical prep, post-op instructions, etc. Q: Will I be awake during the procedure? A: Yes, but you will be given a medication to relax. Also, your eyes will be numbed with drops so that you will not feel any pain. You will feel pressure on the eye when the Intralase laser creates the flap on the cornea. Q: Do I have to have one eye treated at a time? A: No. Typically both eyes are treated during the same visit; however you can have one eye treated at a time if this is a good option for you. Q: Can I resume normal activities after LASIK? A: You can resume your normal daily activities after a day or two, but strenuous activities and swimming should be avoided for a few weeks. For contact sports, you should wear goggles for a period of at least 3 months to ensure that your eyes do not get hit and risk dislodging of the corneal flap. Q: Can I have the procedure if I have astigmatism? A: Yes, astigmatism is routinely corrected through LASIK. More than 60% of patients who undergo laser eye surgery have some astigmatism.